I’m feeling the Christmas spirit at last. Letting go of the stress of the past few weeks made way for lightness and fun to return to my life. One of my favorite parts of the day is coming downstairs in the morning when our place is still dark to see the lights on the tree and around our living room. Yesterday I stared at the tree as I ate my breakfast; it was a sort of meditation. I reflected on our adventures of the past few years as I looked at the ornaments. I love our tradition of picking up ornaments wherever Graham and I travel. Our tree has a colorful, eclectic mix of trimmings. Someday we hope to tell our children where we bought each one. 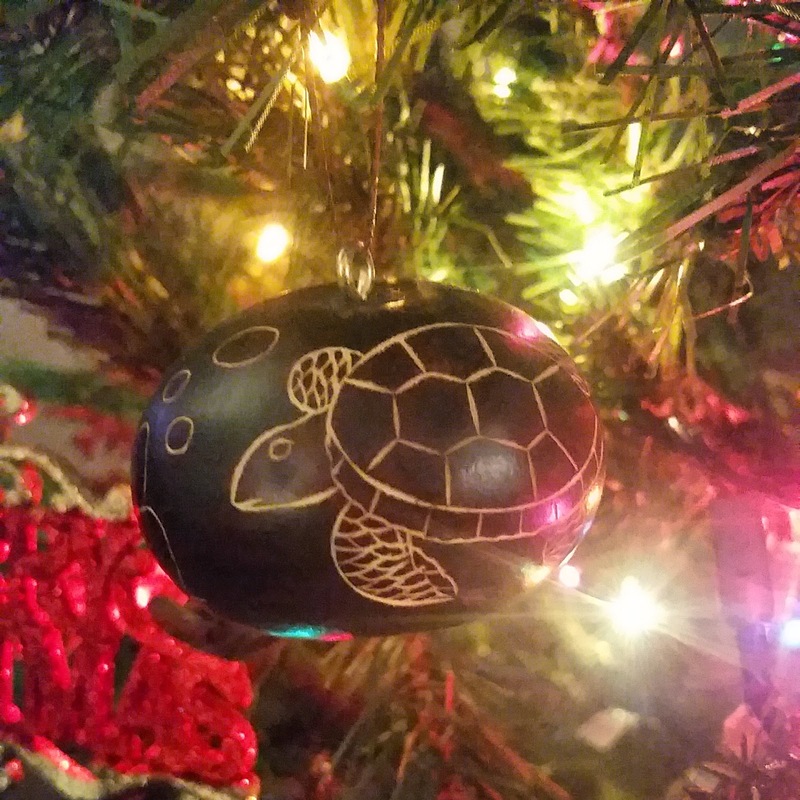 We picked up this ornament in Honokaa, Hawaii, in September. 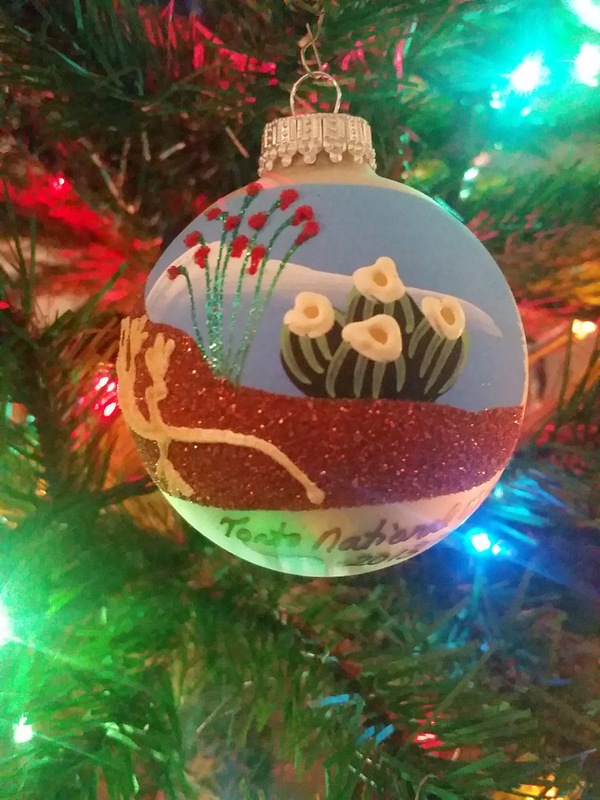 We bought this ornament at Tonto National Park this year. We are slowly putting more gifts under the tree. I’m proud that I managed to buy most of my gifts online and only had to run to a store twice — and neither time took more than 30 minutes. Hooray! And I already received a little something. 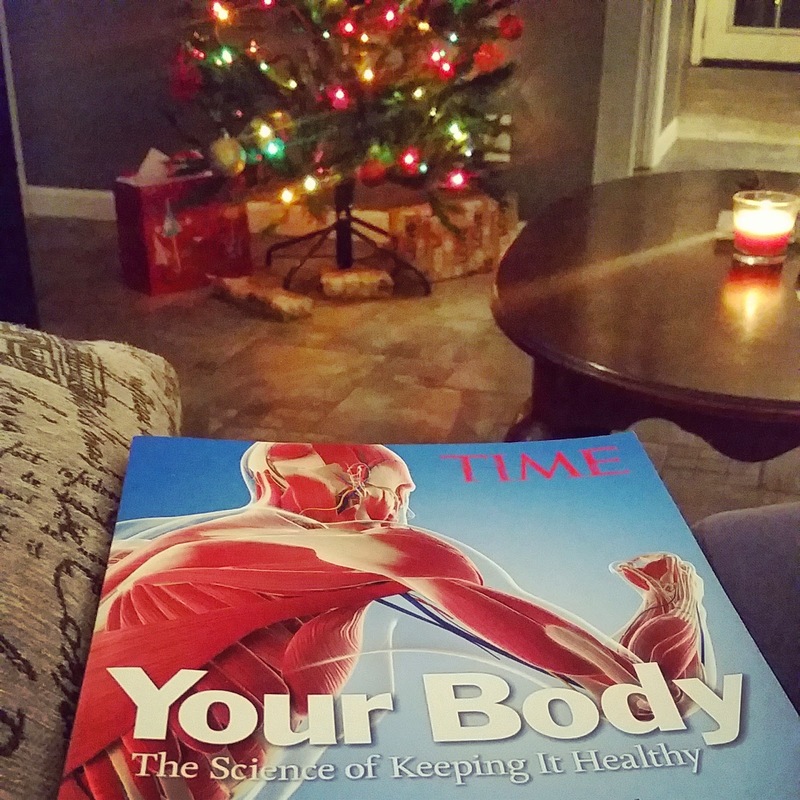 Graham meant to put this magazine in my stocking, but I saw it before he got to it. I hope reading this will give me more motivation to exercise in the coming weeks. I am going to try to squeeze in a run or two this weekend amid all the pre-holiday activities: I have a reunion with former co-workers, cookie day, yoga, a haircut appointment and brunch/Secret Santa exchange with some of my favorite people.